Nicole McQueen is destined to become a force in the safety space. 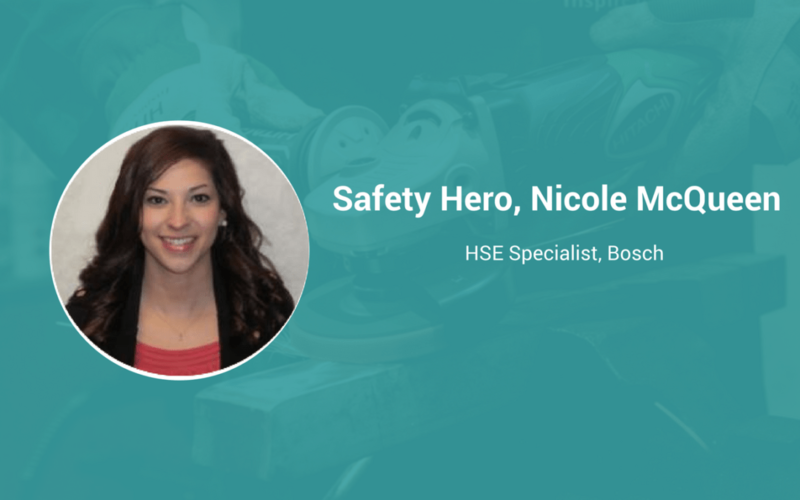 Already improving the outcomes for Bosch as an HSE Specialist, Nicole is a valued member of any team and makes an impact wherever she goes. Nicole found her knack for Environmental Health and Safety when she was in college. Originally pursuing a degree in Biology and Chemistry, she found most interest in the courses outside of her major – like Environmental Health. Switching her major to focus on Safety, McQueen knew she found her calling after working as an intern with Bosch. It was a gradual process. I always wanted to be a doctor. My mom was in the healthcare field, so I had the opportunity to shadow and spend a lot of time with medical professionals, but once I started studying to become a medical professional, I found more interest in courses like Environmental Health. I decided to switch my major and ended up working as an intern for Bosch Security Systems in Minnesota and three years later, I’m still with Bosch and happier than ever! Oh my goodness, there are so many things!! I firmly believe that, if you’re in safety, you have to have very strong interpersonal skills. Oftentimes, operators have been in their positions for a very, very long time. They have a ton of information that’s critical to helping you and your team succeed. In order for them to be willing to share their learning and experience, they need to know that you’re on their side – that you’re trustworthy and are there to help them. I’ve never been involved in any fatalities, but I have seen a few bad injuries that could’ve been life-changing. Any injury, no matter how large or small, reinforces why I do my job – to keep people safe. Safety professionals are trained to identify a problem and know how to address it. However, sometimes things are out of the safety person’s control. The safety person can recommend change and can work to implement change, but change requires an entire shift in company culture. I can get along and connect with anyone in any situation. I traveled and moved around a lot as a kid, and I have a diverse family of over 10 siblings. I’ve been “trained” to get along with anyone, in any situation. That people realize that everyone within an organization, regardless of function, impacts safety. Whether it’s an executive at the top, or a mid-level finance-person, the decisions that they make impact the overall safety of the people on the floor.